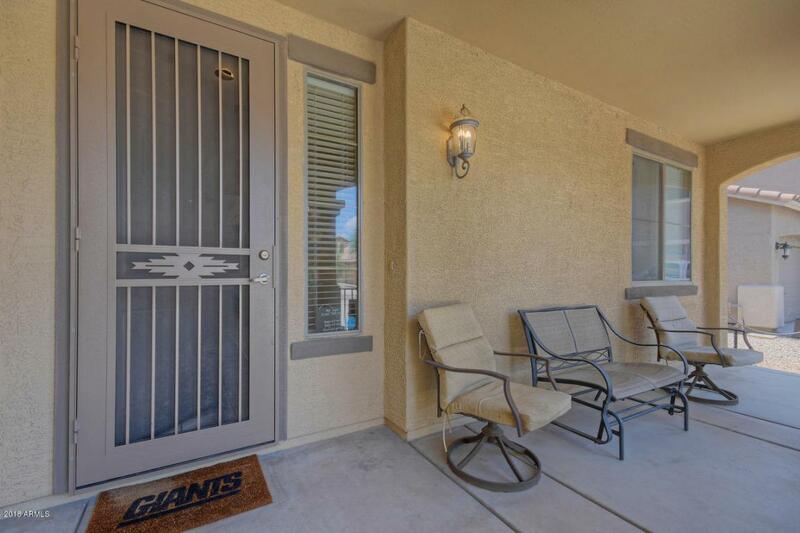 This beautiful and well maintained home is located in the heart of Queen Creek with quick access to shopping, entertainment, the HWY & Mesa Getaway Airport. 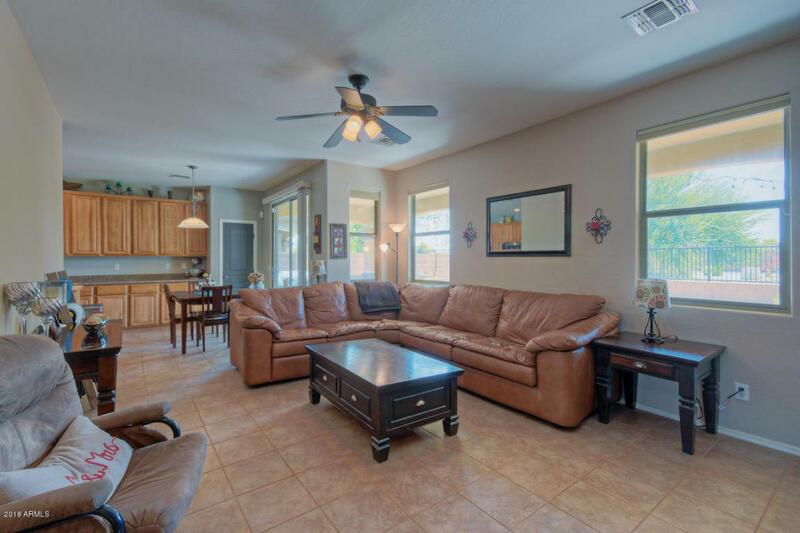 Home features 3 bdrms along w 2 full baths. The kitchen offers beautiful 42'' upgraded hickory cabinets w 3'' crown molding, pantry, granite counters, custom island w butcher block top, stainless steel appliances including 5 burner smooth top stove/convection oven, microwave & dishwasher. 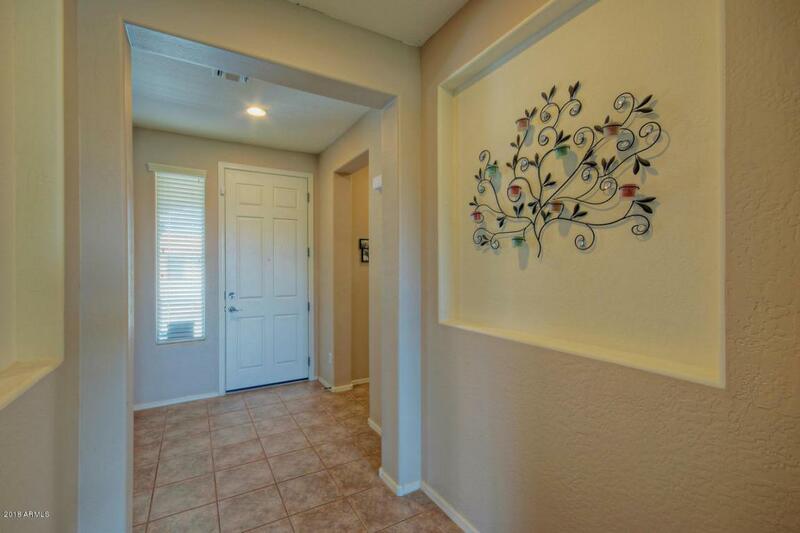 You will find the floors throughout the home except in the bedrooms. Master bath has an oversized shower with bench, raised vanity w double sinks, walk in closet & privacy door to the water closet. 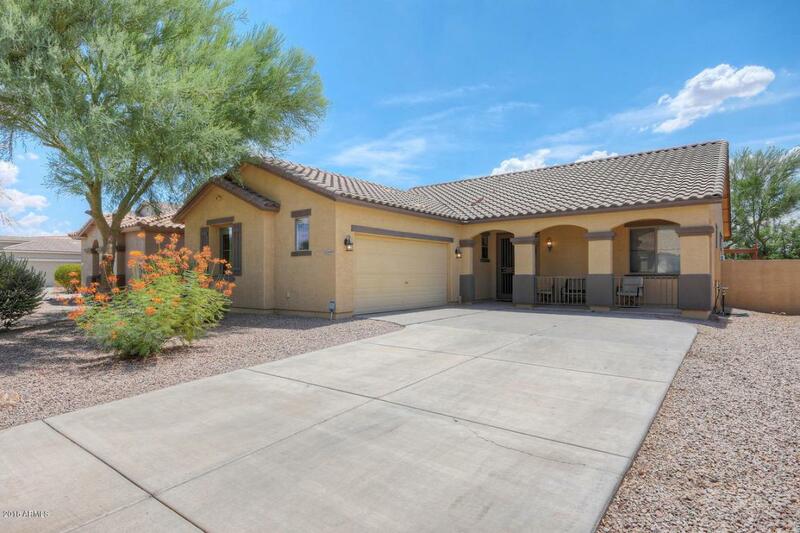 The 2 car garage features lots of cabinets and a soft water system for the home. The fully landscaped backyard backs up to a common area.